Mindy Zasloff has over 25 years of experience in Human Resources, Organizational Development, and Training Design and Delivery. Mindy is a well-known leader in Executive Coaching and Management Development and a pioneer in the development and delivery of generational differences. Mindy Zasloff’s MBA is from Loyola Marymount University and she has received master certification in Engaging the Generations, Retention, Mentoring, Career Coaching, 360 Process, DISC and Listening Styles. Ms. Zasloff manages consultants, trains new facilitators and serves as a key project manager with numerous accounts. Mindy has a demonstrated success record with virtually every industry and has managed and delivered complex projects in the United States, Asia, Europe, and India. A leading Global Financial Strategist, Growth Architect, and Business Futurist, Paula provides strategic consulting services to Inspired Work’s entrepreneurial clients with needs ranging from capitalization to product development. Her expertise is valuable in tying large employee engagement programs to profit performance, compensation, and other meaningful metrics. Paula Brancato offers a lengthy track record in solving the most complex problems from equally strong left & right-brain capabilities. Her interpersonal style is fearless, analytical, kind, creative, curious, decisive, and competitive. A graduate of Harvard Business School, Paula Brancato honed her early career success as a consultant with firms such as McKinsey & Company, and Deloitte Touche. She has provided investment advisory and business restructuring leadership with Rogers Casey Pension Consultants, Morgan Stanley & Company, and Alpha Omega Capital Partners. Ms. Brancato has led a $240M private buyout for Philip Anschutz for Concerts and $150M in debt and mezzanine financing for a refinery acquisition. Paula recently redesigned a financial services organization’s agent/distribution and strategic operations offerings to C-level clients and boards. Paula is a graduate of LA Film School and an award-winning author, lecturer, and filmmaker. 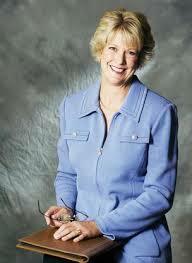 She has been published in the Wall Street Journal, Virginia Quarterly, Newsday and CFO Magazine, among others. Her film and writing awards include National Screenwriters, Hemingway, Faulkner, and Best of the Internet. From 2005 to 2007, Paula served as a full-time lecturer at the University of California where she created the successful course, “Business of the Business,” highly popular with film and writing students. For her work in education, Paula also received the NYC Mayor’s Community Service Award. Paula’s varied background gives her unique insight into the financial challenges faced by high-net-worth executives, CEOs, intergenerational families, millennials, and members of the entertainment industry. Paula resides in Long Island City, NY and Palm Beach, FL . She remains an accomplished USGF National Gymnast (masters level) and, in her spare time, enjoys writing poetry, studying film and science and walking her beloved dog, Myrtle. Dr. Mary Campbell is a visionary thought leader that brings a broad and sophisticated level of experience to all areas of organizational effectiveness, strategic planning, executive coaching, leadership development, culture transformation, and talent management. For over fifteen years led Talent Development and Acquisition for the University of Southern California serving over 25,000 employees with a comprehensive array of leadership, learning, organization development, engagement, and talent acquisition initiatives. Dr. Campbell demonstrates mastery in a wide variety of organizational and learning initiatives as well as consistently high-quality results with executive development. Mary has an exceptional track record of effective leadership and productive influence within organizations that have effectively challenged the status quo to achieve breakthrough results. 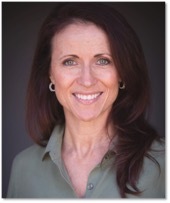 She has extensive experience developing leaders and high-performance teams. Above all, Mary believes passionately in the ability to create environments where people thrive together. Her natural high energy and bold enthusiasm allow her to help people envision the next level where she then she calls them forward into unexpected success. Mary holds a Ph.D. in Organizational Psychology and is an International Coaching Federation (ICF) Certified Coach who has advised a wide variety of senior leaders in highly diverse organizational settings. In 1997, Dr. Peggy Sundstrom embarked on a highly successful executive and consultative career path, focused on helping her clients improve individual and organizational effectiveness. As principal of Sundstrom and Associates, Peggy has established a track record of leveraging untapped human potential to produce extraordinary business results. Peggy has a Masters in Behavioral Science and Health Education and a Doctorate in Education from the University of California, Los Angeles. Dr. Sundstrom has consulted with numerous organizations, including Xerox, Federal Express and a host of major universities throughout the United States. 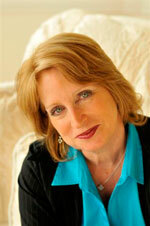 Jess is one of the leading speaking and media training authorities in the United States. With more than 15 years of experience, Mr. Todtfeld helps CEOs, business executives, spokespeople, public relations executives, experts and authors to not just become better speakers but to become expert speakers. 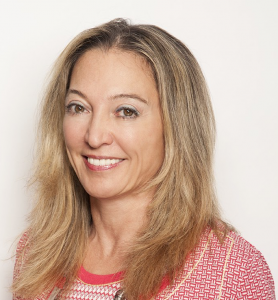 Jess Todtfeld has trained clients from IBM, AIG, AARP, USA Today, The Children’s Wellness Foundation, Edelman Public Relations, The United Nations, The Fine Living Television Network, Land Rover and the ASPCA. Inspired Work has sixteen additional consultants and licensed facilitators throughout the United States. Biographies are provided on an as needed basis in each market.